Easy to install and available in a range of options to suit your needs, our signature rain heads improve the quality of the rainwater you harvest. By keeping leaves and debris out of your pipes and tank, they help to prevent clogging, anaerobic fermentation and tannin leaching. Importantly, they also keep mosquitoes and other vermin out of your Rain Harvesting system. Reduce the risk of blockages in stormwater pipes causing eaves flooding. How high should I install my rain head? Rain heads must be installed so they are higher than the inlet on your rainwater tank. This is necessary to allow water to flow through the pipework to your tank and to avoid water overflowing from your rain head. If you have a wet rain harvesting system (a system where pipes feeding your tank sit below the level of the tank inlet and hold water), you should install your rain head a minimum of 500mm (19.6″) above the height of your tank inlet. Where possible, we recommend that you maximise the height of your rain head in relation to your tank inlet even further. This may be especially necessary if you have a longer wet system. For best results, consult a licenced plumber to discuss the optimal height of your rain heads so you can avoid damage to your property, risks to your personal safety and other negative consequences of water overflowing from your rain heads. Should I mount my rain head at the gutter or on the wall? The ideal location for a rain head is directly beneath your gutter outlet at the fascia board or eaves. Where access is difficult – for example, on a two-storey house – your rain head can be installed “mid” mount on the wall lower down away from the gutter. When selecting your installation point, it’s important to consider the height of your rainwater tank inlet, as your rain head should be installed a minimum of 500mm (19.6″) above the height of your tank inlet. Your chosen installation point should tread the balance between maximum height in relation to the height of your tank inlet, and safe and easy accessibility for maintenance. Can I upgrade my Leaf Eater Original or older Leaf Beater with the new patented screen technology? Yes. Upgrade screens are available for both new and old Leaf Eater and Leaf Beater rain heads. The patented Clean Shield Screens keeps leaves, debris, mosquitos and larger pests out of your pipes – no second screen required. Can I paint my rain head? Yes. All the rain heads in our range can be painted to match your home or building. Check with your local paint retailer to ensure you select a product that’s suitable for use with plastic. I have pine needles. Which rain head should I use? All our rain heads are suitable for use in areas with pine needles. However, due to the fine size of the needles, more regular maintenance will be required to remove any pine needle debris from your rain head. My rain head is overflowing. Why is this happening? The most common reason a rain head overflows is insufficient or irregular maintenance. Check and clean your rain head screens regularly to ensure they continue to function optimally. Alternatively, your rain head may overflow if there is insufficient “fall” from the rain head to the tank inlet – in other words, if your rain head is not positioned high enough in relation to the height of your rainwater tank inlet. A height difference between your rain head and tank inlet is necessary to allow water to be pushed through your rain harvesting system under gravity. Will my rain head splash water into my covered patio area? Rain heads with an open “face” have an angled, self-cleaning screen designed to minimise splashing as leaves and debris are deflected away from the flow of water. This applies to all our rain heads that feature our Clean Shield screens, as well as the Leaf Eater Original. If you are still concerned about splashing, consider choosing a rain head with an anti-splash cover such as the Leaf Eater Slimline or Leaf Eater Ultra. What’s the difference between the Leaf Eater Original and Leaf Eater Ultra? The Leaf Eater Original is our trusted, original, all-round rain head. It features a primary self-cleaning stainless steel screen with a 5.4mm aperture (hole size) and a secondary mosquito-proof 955 micron stainless steel screen. The Leaf Eater Ultra is the result of many years of research, development and refinement. 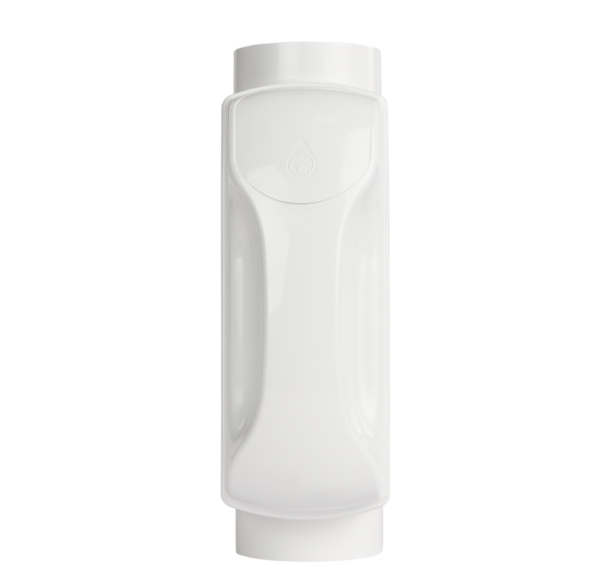 It features a patented VH Pivot for installation on horizontal and vertical downpipes, a sleek anti-splash cover and a patented Hydro Activated Filtration screen system for maximum leaf shedding. What’s the difference between each rain head in the range? 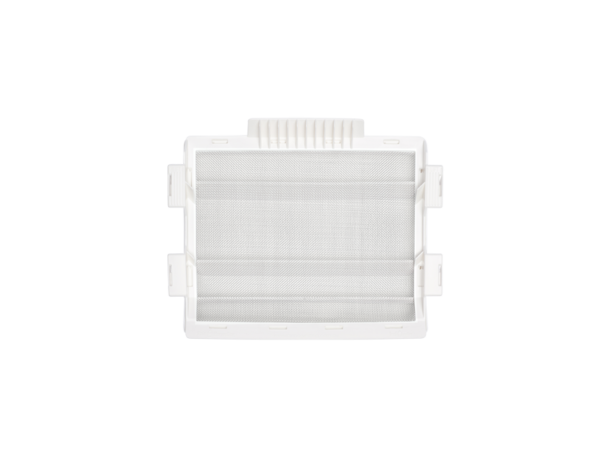 All our rain heads feature mosquito-proof screens and are designed to keep leaves, debris, mosquitoes and other pests out of your downpipes and rain harvesting system. 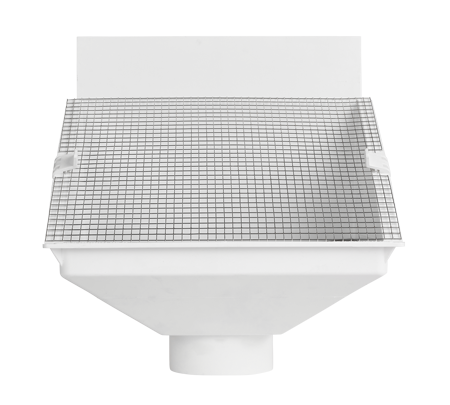 Several of our rain heads feature patented VH pivots for installation on horizontal and vertical downpipes, some feature anti-splash covers and some feature additional technology such as our Hydro Activated Filtration screen system and red overflow indicator flags.